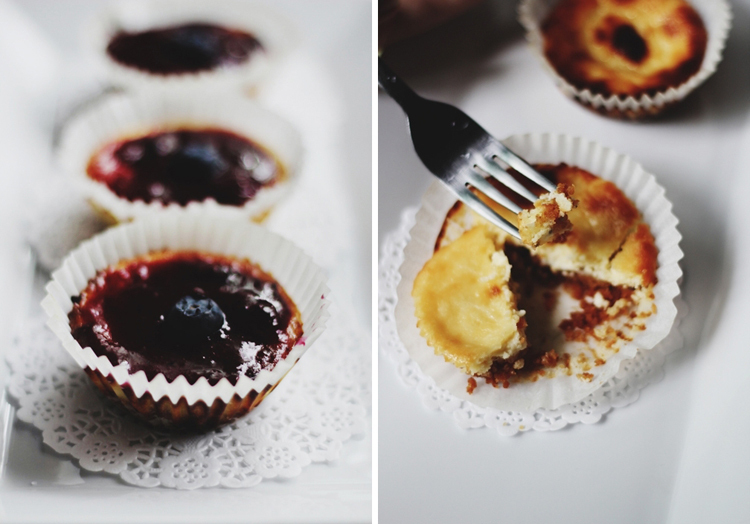 Presenting to you fresh or 5 hours later from the oven, mini blueberry cheesecakes. Did I say blueberry cheesecakes? Oh yes I did. I know, they look like Portuguese egg tarts. 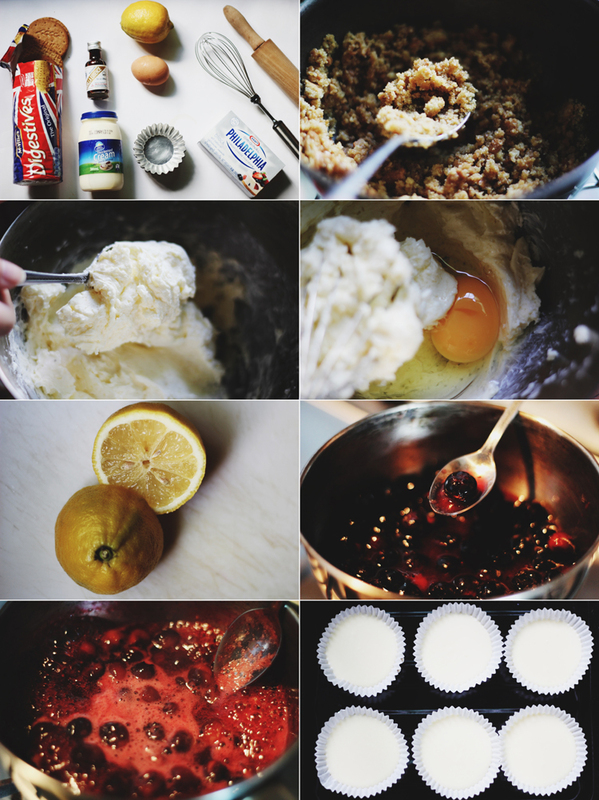 You can find the original recipe here, my friend and I modified it a little bit (instead of oreos we used digestive biscuits). Oh my gawd, I swear these are the best things I've ever made. It wasn't love at first sight, so that's what the blueberry coulis is for, haha. But I tell you, it was love at first bite, if it makes any sense. Flavour burst the moment you sink your teeth into these cheesecakes, sweet and sour all at once. Let's not forget the fragrance of the Lemon and Vanilla essence. And then we have a mixture of textures, a layer of gooey blueberry coulis over the cream cheese and solid, crunchy biscuits. I wish I could make a million of them or something, they are honestly so good.